A new book club has started up at my work so of course I’m in the thick of it. We put together a list of critically-acclaimed and diverse books and encouraged people to choose whichever books piqued their interest from the list. Although this author’s work has been published extensively, I hadn’t heard of her before. I have been making a real effort to read more Aboriginal and Torres Strait Islander authors, so I thought I would start with this one. 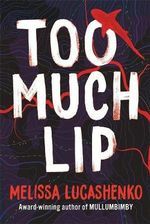 “Too Much Lip” by Melissa Lucashenko is a family drama about a woman called Kerry, on the run from police, who drops in to see her dying grandfather before fleeing across the border. When she arrives, her brother Ken is on edge, her mother Pretty Mary is a mess, and her nephew Donny won’t speak to anyone. Her girlfriend is in jail and she’s just met a dugai man who is very keen on her. The family’s beloved river is in danger, her backpack is missing and to top it off Kerry can’t keep her bloody mouth shut. This is a necessary book that brings to life a dysfunctional but completely relatable family. Lucashenko has a real talent for realism and the small town of Durrongo and the Salter family are effortless to imagine. Piece by piece, she unpacks the family’s dynamics to uncover not only past traumas but to uncover a way forward. Kerry is a great point of view character through which Lucashenko explores the themes of power, racism and morality. Morally ambiguous herself, Kerry dances a fine line in almost every action she takes, seemingly pulled in several directions by respect for family, culture, money and doing what’s right. I thought Lucashenko did a really brilliant job of building empathy for the family while still being critical of their less-than-savoury actions. Although I really enjoyed Lucashenko’s writing, characterisation and exploration of themes, I think the one thing I struggled with a bit was the plot. I completely get that part of the comedy was the outrageous actions and coincidences and everything being a bit extra, but there were a couple of parts in the story, particularly towards the end, that I would have liked a little more subtlety. I felt that Lucashenko already engaged the reader enough with the way she tackled real-life issues and wrote her characters, and some of the mayhem at the end of the book felt a bit superfluous. 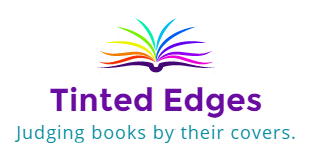 One thing that is no secret is that I have been making an effort to read more books by Aboriginal and Torres Strait Islander authors over the past two years. I’ve read several novels such as “Barbed Wire and Cherry Blossoms“, “Pemulwuy: The Rainbow Warrior” and “Terra Nullius“. I’ve also read some non-fiction, most notably “Growing Up Aboriginal in Australia“. Each of these books has had a significant impact on the way that I view this country, and has helped to shed a little more understanding to counteract the misguided or absent knowledge I learned about our first nations people when I was young and failed to take enough steps to correct as an adult. A few people recommended that I read this book, especially after having read “Guns, Germs and Steel“, and I finally bought myself a copy. 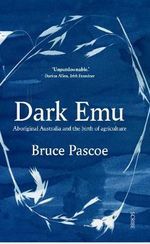 “Dark Emu” by Bruce Pascoe is a non-fiction book that compiles records from early white settlers to the continent of Australia to extrapolate a more accurate history of Aboriginal people and their relationship with the land. The book is broken up into several chapters that cover topics including Aboriginal agriculture, aquaculture, population and housing, storage and preservation and fire. Pascoe patiently examines each of his sources going through quotes that refer to Aboriginal grain crops, cuisine, wood and stone housing, penned animals and dams. You can read my review which is going to be quite long and heated, or you can listen to the far more eloquent speech given by the author himself at the National Library of Australia. Anyway, to be perfectly frank, any history books currently on the curriculum teaching Aboriginal history should be thrown in the proverbial bin and replaced with “Dark Emu”. Up until this point, for the past 230 years this country has been complacent about the biggest example of collective gaslighting of all time: that Aboriginal people did not manage their land and that Aboriginal people allowed themselves to colonised. Slowly, the fiction has evolved over time. terra nullius morphed into the hunter-gatherer story. The hunter-gatherer story changed to the fire-stick farming story. However, until more recently, Aboriginal people have largely been excluded from telling their own stories and their own histories. Until more recently, people didn’t know about the frontier wars, the truth of the Stolen Generations, or the validity of Aboriginal science. It must be acknowledged that perpetuating this story of “primitive” Aboriginal people is in the best interests of white Australia. The belief that the people who were already here were not really people, or not as sophisticated as the settlers who arrive, has helped to justify white acquisition of land. As an adult, I have heard stories from people while drinking around campfires of Aboriginal artifacts and burial sites being discovered on farmers’ land and removed and destroyed. When I first heard stories like this, I thought it was through callousness and disrespect that someone would do something like that. However, on reflection and after reading this book, I think that ever since colonisation people have actively destroyed evidence of Aboriginal occupation of land because of the threat of native title. This book is exceptionally well-researched and Pascoe weaves through a carefully considered commentary and some of his own personal experiences alongside excerpts from diaries and letters of early settlers. The book is meticulously divided into easily accessible sections and I actually found this much, much more readable than the important but relentlessly repetitive “Guns, Germs and Steel”. This is a book that is critically relevant to this country’s past and this country’s future. People ask me from time to time, given the area that I work in but certainly not because of any special personal experience, what I think should be done to create a better future for Aboriginal people in this country. I truly believe that we cannot have a better future until we fully acknowledge the past. I was desperately sorry that I missed Pascoe’s recent talk at the National Library of Australia, but as I said you can watch it online. I cannot recommend this book more, it is an excellent and necessary edition to Australia’s literary scene and I look forward to seeing the works that emerge from future Aboriginal authors through this newly opened door. I’m doing something a little bit different today and I’m reviewing out of sequence. This was not the book that I read after “Joe Cinque’s Consolation“. This is a book that I read just this week, and I think that today, 26 January, is the right day to review it. I’ve just come home from a rally and I’m ready to dive in. This photo was taken at the Aboriginal Tent Embassy during the Invasion Day march on 26 January 2018 and this artwork is from one of the box planters there. “Terra Nullius” by Noongar woman and author Claire G. Coleman is a novel set deep in the bush. Jacky, a Native, has absconded from the Settler farm he works on as an unpaid servant and is running for his life. Sister Bagra runs her school for Natives with an iron fist, but word of her approach to discipline has reached the Church and a senior representative is on his way to investigate. Esperance is a free Native, evading the Settlers with her Grandfather and community by moving camp deeper and deeper into the desert. However, the constant moving is taking its toll and Esperance fears that the Settlers will eventually catch up with them. Honestly, the less I say about this book the better. This is really one of those kinds of books where you should really dive in cold and experience it fresh. Coleman is a wildly creative and clever writer, and this book is brilliantly crafted and exceptionally well-researched. Coleman draws upon the massacres and the Frontier Wars, as well as colonial accounts of invasion, settlement and occupation to create a story both familiar and unique. This is a book that facilitates deep empathy and I feel like on this day, if there is any book you should pick up and read, give this one a try. After talking about a number of different issues together, a friend of mine lent me this book. 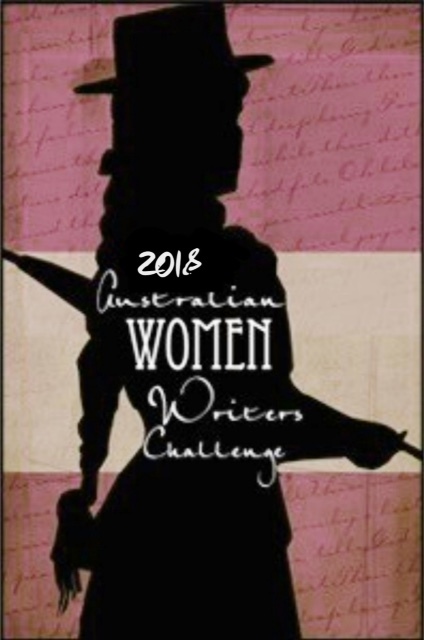 I had never heard of it before (and I’ll go into that further in a minute) and apart from reading “Barbed Wire and Cherry Blossoms” last year, I haven’t had much exposure to Australian Aboriginal historical fiction. However, I have noticed that the role of Aboriginal people in early Australian historical fiction is often either glossed over or largely absent. The book has sat on my shelf for the better part of a year and finally I got around to reading it. “Pemulwuy: The Rainbow Warrior” is a historical fiction novel by Aboriginal academic, engineer and writer Eric Willmot and originally published in the 1980s. The story is set in the late 1700s around the Sydney area shortly after the arrival of the first British convicts and settlers. When a young Awabakal man called Kiraban first sees white people arrive in his homeland by ship (in the Newcastle area), he decides to adventure with them south to Sydney to gain experience and status among his people. When he arrives, he befriends and learns the languages of both the white settlers and people from the Eora nation and observes the interplay between these two peoples. Although Eora elder Bennelong advocates cooperation with the British, Kiraban comes to hear stories of mysterious Bidjigal man Pemulwuy. Pemulwuy has stopped trading kangaroo meat with the British as he once did and has instead begun to sabotage the Governor’s attempts to expand Sydney and turn Eora land into farmland. Without any way to get home to his people, and with relations deteriorating between the British and the Eora, Kiraban must decide which side to join. This was indeed a conspiracy of silence. The same that was applied to Pemulwuy’s resistance. It was apparently not in the interests of a crookedly intent or racist establishment to promote such parts of the Australian story. If this is true, then these people have stolen from generations of Aboriginal and non-Aboriginal-Australians a heritage as important, as tragic and as heroic as that of any other nation on earth. When I was in school, we learned about Captain Cook and the First Fleet. We learned about Banjo Patterson, the Gold Rush, the Eureka Stockade, Federation and the White Australia Policy. What we didn’t learn was about Aboriginal and Torres Strait Islander history. Even though the idea that the continent of Australia as terra nullius has since been proven false, there is a real absence of Aboriginal history within the national consciousness. I believe that this book would have been a much more valuable book to study in school than some of the other Australian texts we studied. If Australians were to understand that there were valiant warriors among the Aboriginal people who first encountered and, for years, effectively resisted settlement, perhaps there would be more mutual respect today. This was also a really interesting book for a number of other reasons. I really liked Willmot’s treatment of women in this book. Narawe is a fascinating character who shows ferocity as a fighter on a number of occasions. Willmot also compares the role of women both among the different tribal groups of the Eora as well as between Aboriginal people and the British. Willmot also explores the ethics of both the British approach to settlement and the resistance of Pemulwuy, highlighting the many grey areas and suffering on both sides. I think probably the thing that I found most difficult about this book is that although it was only 300 pages long, it did take me a while to get through it. It is quite heavy on military and tactical writing, something that I have never been particularly interested in. Nevertheless, Willmot is a bright and considered writer who has filled an important historical gap with an alternative narrative of the people who have lived on this land for tens of thousands of years. I would highly recommend this book for history buffs who would like a more nuanced retelling of early British colonialism and the impacts on Aboriginal Australia.